We understand the importance and necessity for immediate disaster relief, but we also believe in giving IDPs the building blocks with which they can rebuild their lives and become independent again. Through helping them to acquire skills and knowledge and investing in tools that can transform lives, we can help people return to a life of self-sustainability. We have sewing schools in two states (Adamawa and Katsina). 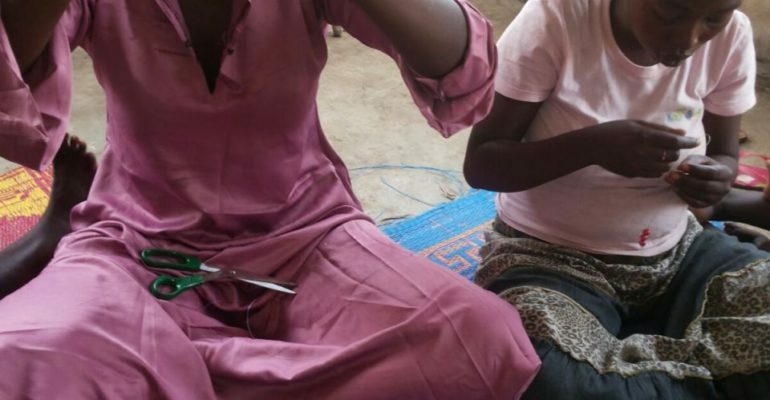 The sewing schools are in Jambutu, Mubi and Kwanduga in Adamawa. We run a youth empowerment programme for young adults, teaching them lifelong skills to enable them rebuild their lost communities. Soap and cosmetic making training is one of our popular schemes that generate enough income for the IDPs to live on. Production of groundnut oil is a lucrative business that has a high demand year-round. We train and provide the initial equipment and seeding funds and teach the participants on how to form successful cooperatives. Training in making the ‘Zana Hat’, traditional hats distinctive to the region that are used across West Africa.